For a number of months, he continued to look for a corporate food-industry job while developing his concept. It didn’t take long for the job hunt to fizzle out. 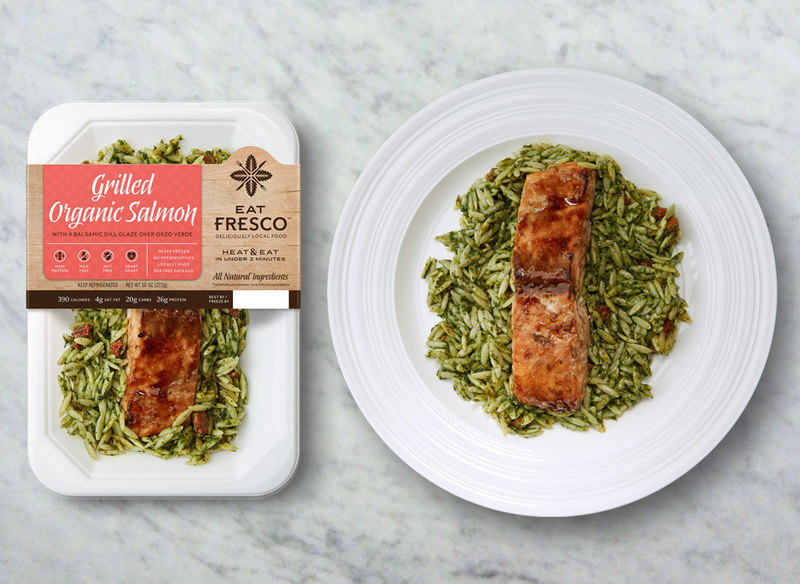 After doing some market research, Povolny and his wife, Tracy started Eat Fresco, which launches in early January with seven products – among them Asian Shrimp Noodle Bowl, Caribbean Jerk Chicken and Roast Cuban Pork Loin – at a handful of local retail outlets. The Povolnys, who live on Davis Islands with their two sons, used severance money for startup costs that have thus far come in below $500,000. He collaborated with chef/consultant Kevin Anderson to develop his menu that “covered a broad spectrum of cuisine.” He rented time in an incubator space called Kitchen 24 in Oldsmar, where he put two chef/cooks to work. He has set up a fledgling distribution system with a refrigerated truck. He brought in Keefe Manwaring of Ninth North in St. Petersburg to do branding and design. To make good on his fresh-and-natural promise, Povolny had to find the right vendors. He gets his proteins from Turtle Beach in Oldsmar and Niman Ranch, a network of cattle ranchers, and Sammy’s Seafood in St. Petersburg. His produce comes from Global Organics in Sarasota, his grains from United Natural Foods’ Sarasota warehouse. He’s had a special cooler with LED lighting built to showcase his product with sizzle. Duckweed Market downtown is on board and Povolny is having discussions with a couple of other independent retailers. After the launch, he plans to play brand ambassador at the outlets, preaching the brand’s virtues and offering samples and coupons. Eat Fresco is currently going through the U.S. Department of Agriculture approval process. Povolny expects to be up and running at independents in early January, followed a couple of weeks later with the Walgreens test. After that? He hopes to be in a position to start raising private equity. A mentor told him to get products on store shelves first. And after that? “I see Eat Fresco as the first in a bigger line of products that follow in this fresh, organic approach,” Povolny said. Article updated and reproduced with permission of Tampa Bay Business Journal.